In a large pot of boiling salted water, cook the stringbeans until crisp tender , about 3 to 5 minutes. I use the pasta colander which fits into the boiling water ( so easy ) Drain and return to the pot. Toss with olive oil, fresh lemon juice, and chopped toasted almonds. sprinkle with lemon zest and season with salt and pepper right before serving. * to toast almonds, place on baking sheet at 400 degrees for app. 5 minutes, but they burn easily so if you smell them before 5 minutes, remove them from oven. 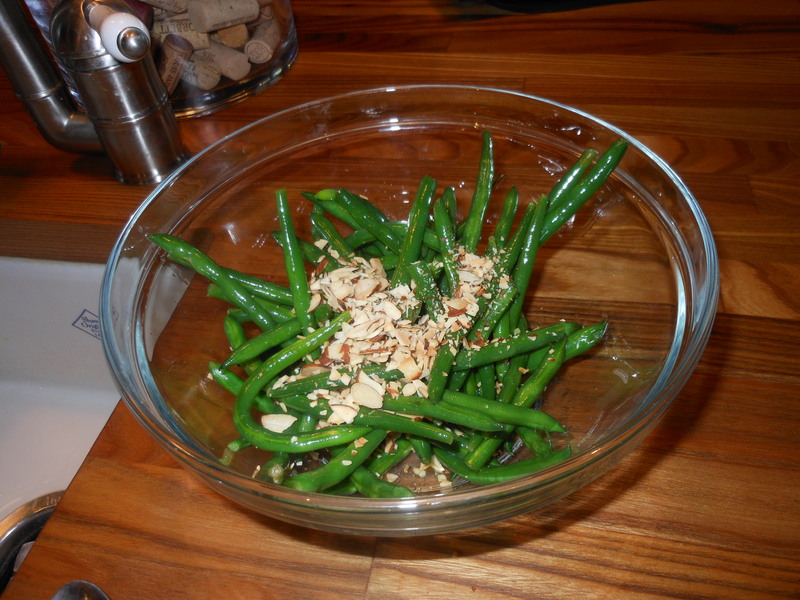 This entry was posted in sides, vegetables and tagged fresh string beans, string beans with lemon and almonds, Veggies. Bookmark the permalink.